Please read below for a great opportunity to support Team Renegade on their quest for Sambo Gold. Sambo is a Russian martial art, and it's a great base for MMA. Just ask Fedor Emelianenko! 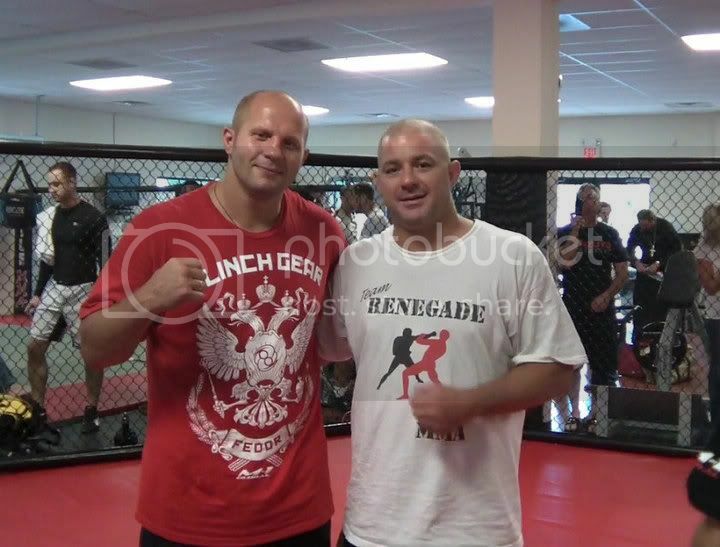 I train with Team Renegade, and I know first hand how dedicated and hardworking Anthony Sansonetti and his team are. Travel is expensive, especially for the overseas tournaments, so every little bit helps. Check out the Team Renegade website for more info. The Team needs funds for Tournament Entry Fees, Equipment, and Travel Expenses. You can help us tremendously for as little as just $25! We also have T-Shirts for sale where a portion of each sale goes towards the team for sponsorship. If you own a business, we have a special Business Advertising Package, where 100% of the funds goes to the team. Anything you can give helps! Please visit the Renegade Store to Sponsor! Argentina ( Pan Ams), Germany, England, Bulgaria, and of course the USA. Each Team member needs about $250 in Equipment, entrance fees into tournaments (ranging from $20 to $75), and travel expenses which varies considerably. Anything we can raise will help lessen the financial burden on each competitor.